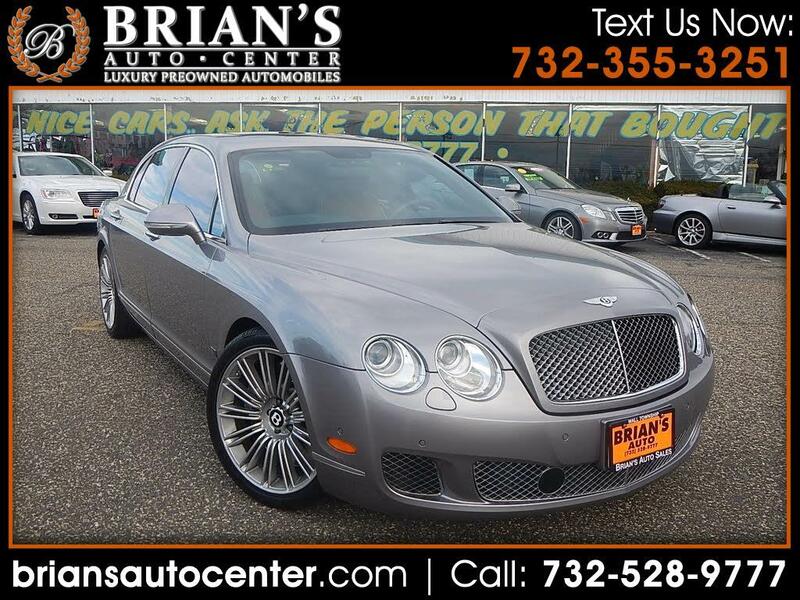 THIS CAR COMES WITH A CLEAN CAR FAX, HAS LOW MILES, HAS A 6.0L W-12 TWIN-TURBOCHARGED 600HP ENGINE, ALL-WHEEL DRIVE, FACTORY SERIES 51 PACKAGE ,(WHICH IS AN EXCLUSIVE TRI-COLOR INTERIOR OPTION), FACTORY NAIM PREMIUM AUDIO SYSTEM , ALSO HAS THE POWER REAR SEAT PACKAGE, MULLINER PACKAGE, VENEER PICNIC TABLES IN REAR, THIS IS A FLYING SPUR RARE SPEED MODEL!...THIS CAR IS ABSOLUTELY STUNNING! GIVE US A CALL AT (732)-528-9777! Message: Thought you might be interested in this 2012 Bentley Continental Flying Spur.